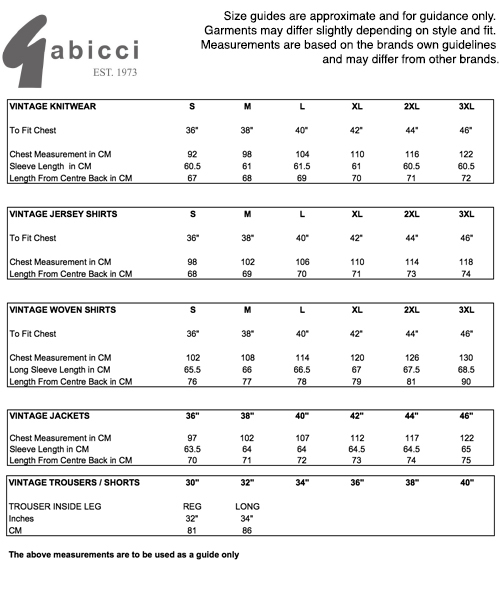 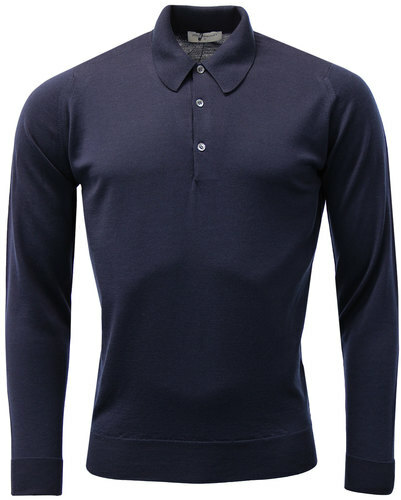 Gabicci Vintage Burbage knitted retro 70s polo shirt in navy with contrast intarsia racing stripe. 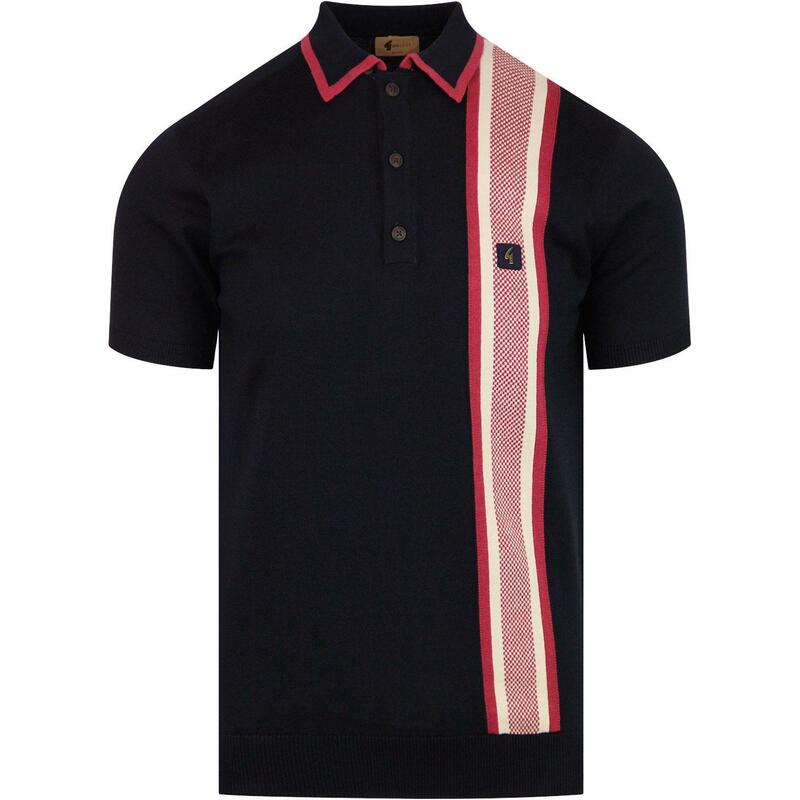 Navy with red and cream racing stripe, with mod chequerboard style design. 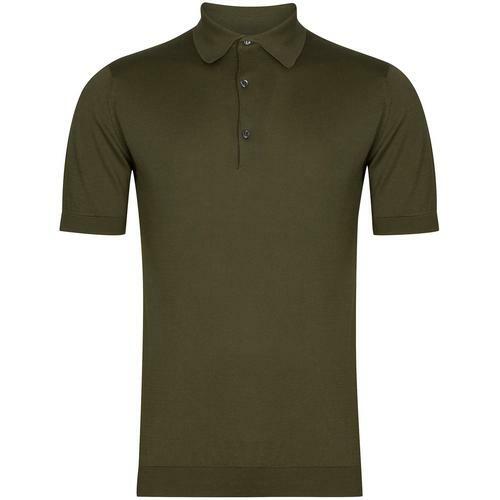 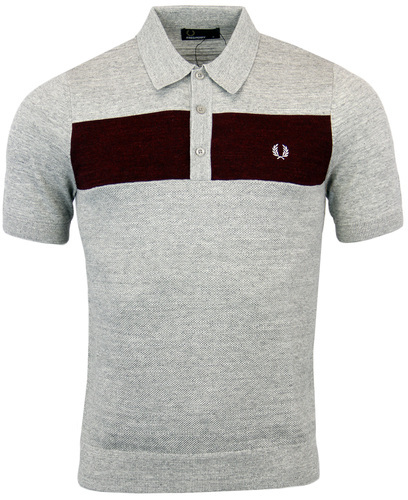 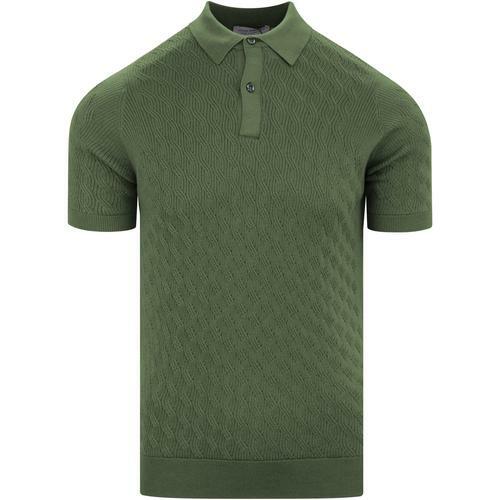 Short sleeve, 3 button placket with classic mod polo collar.